"Greek musician and composer Alekos Vretos seamlessly divines the perfumed essence of Middle Eastern music, infusing that essence into jazz and creating a rich world music hybrid that is as enjoyable to listen to as it is bold to consider." All About Jazz, 2015. Vretos plays the oud, of which sound is woody and strangely elastic, largely due to its fretless fingerboard. Like the traditional western mandolin, it is a fine vehicle for improvisation, something Vretos amply demonstrates on his albums and on stage. 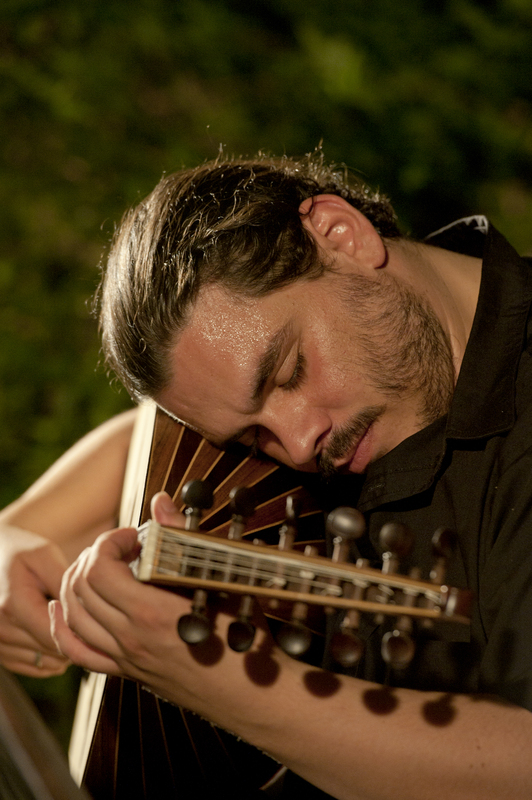 With his album ‘Mergin’ (2009), Vretos merged Arabic and Latin Music with taste and intelligence. His last album ‘K on Top of the Piano’ (2014) has not only a flavor of organically produced music but is strikingly graphic and vivid. Alekos Vretos has collaborated with legendary composer Mikis Theodorakis, as well as Gilad Atzmon, Simon Shaheen, Martha D. Lewis, Theodore Antoniou, The Greek Contemporary Ensemble, The Kamerata, the Jazz Upstairs Big Band, Yorgos Fakanas, Dimitris Maragopoulos, The Athens State Orchestra, Lakis Chalkias, Kostas Thomaidis and Takis Paterelis to name a few. For his work and help towards the music scene (especially World Jazz), he was included in 2013 list of the 100+1 most influential people in the Greek music scene published by the Athens Voice newspaper.